If you thought you couldn't grow chillies here in the UK, think again. The world's most northerly chilli farm is in the wilds of Northumberland, where Dan May and his team grow around 60 varieties of chillies. The chillies vary in strength, colour and size, and are used to produce chilli sauces and products under the name Trees Can't Dance. 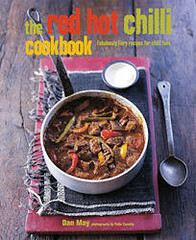 Now, Dan May is sharing some of his fabulously fiery recipes in his first book The Red Hot Chilli Cookbook. The book starts off with a little history about the chilli pepper, health and dietary benefits and goes on to talk about identifying them and how to grow them. Here at Cherrapeno, we grow quite a few different varieties of chilli peppers for cooking and it's quite exciting to see them ripen in the warm summer months ready for picking. 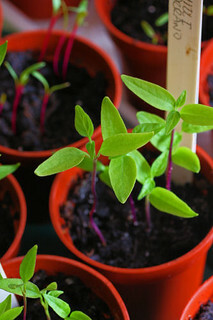 I am still using up our stock of dried Apache chillies while waiting for the seedlings to grow. At the back of the book is a small list of supplies and stockists of chilli outlets and farms - growing chillies from seed is easy! 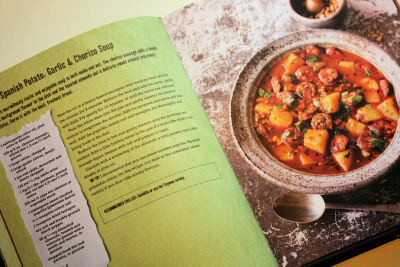 The photography in the book (by Peter Cassidy) is vibrant, colourful and radiates warmth, and the recipes are well laid out with the ingredients (in bold clear type) to the left of the recipe. I particularly liked the little box at the end of each recipe recommending which chillies you can use for the recipe, perfect for those who are just discovering the delights of cooking with chillies. If I had to have a have a niggle with the book, it would be to say that I would have liked to have seen a few photographs of the various types of chillies in the 'identifying chillies' chapter, but otherwise, a lovely book with plenty of interesting recipes. I also tried the following recipe which comes from the book and I have been given kind permission to reprint it in full. By Dan May from The Red Hot Chilli Cookbook. Here’s a great Asian marinade that is really quick and simple to make and just perfect for prawns. Marinating in a bag is also an excellent way to ensure everything gets an even coating of sauce. My favourite aïoli is the ideal accompaniment for the spicy prawns and juicy tomatoes. To make the marinade, mix together all the ingredients and blend to a smooth purée using a hand blender. If you don’t have a hand blender, grind to a paste using a pestle and mortar. Put the prawns in the sealable food bag and pour in the marinade. Seal securely. Shake vigorously and when all the prawns/shrimp look well coated, refrigerate, still in the bag, for about 2 hours. Put the tomatoes and half the olive oil in a small saucepan and gently warm for 5 minutes, or just long enough for the tomatoes to start to soften. Remove from the heat and let cool. To make the fresh aioli, beat the eggs yolks in a large bowl with a balloon whisk. Add the garlic and mustard and beat through. 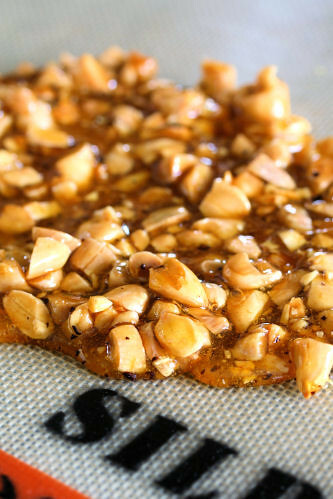 While beating the mixture, slowly add the olive oil in a thin, steady stream. When all the oil has been added, the aïoli should have a smooth, velvety appearance. Add the lemon juice, season with salt and pepper and gently stir through. Refrigerate until needed. Light your barbecue. Always do this in plenty of time to have built up a good bed of hot ashes or charcoal that have burnt down to a white glow with no visible flames. This normally takes about 45 minutes from lighting. Take the refrigerated prawns out of the bag and place on a plate, reserving any remaining marinade. 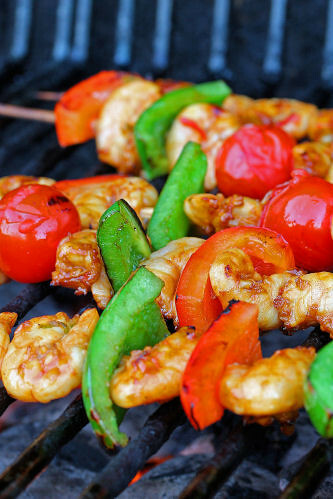 Thread the marinated prawns, tomatoes, sweet pepper and Jalapeños onto the skewers in a repeating sequence and continue until all 8 skewers are filled. Make sure you allow for enough of each ingredient on each skewer, and leave enough space at the ends of the skewers to handle when on the barbecue. In a small bowl, loosen the reserved marinade with 1–2 tablespoons of the remaining olive oil. Using a pastry brush, liberally coat the skewers with the marinade just before placing on the barbecue. Cook for a couple of minutes on each side until the prawns/shrimp turn pink and are cooked through. Serve with watercress, toasted pita bread and a good dollop of fresh aïoli. My Tip: Be sure to soak the wooden skewers thoroughly, preferably overnight, before making up the skewers for the barbecue. This will prevent them from catching fire while you are cooking! Recommended Chillies: For the skewers – Jalapeño, Cherry Bomb. For the marinade – Thai-style hot red chilli or red Bird’s Eye. This book can be bought directly from Ryland Peters & Small, or from Amazon and all good book shops. This content belongs to Nic at Cherrapeno. All writing and photography copyright N Fowers © 2007-2012 unless otherwise indicated. All rights reserved. Nic, this book seems to be right up my street. I love chilli and have even managed to convert my hubbie to those hot devils! The sweet and savoury recipes are divine. i like peppers in everything, from breakfast to dinner, sweets to savory. 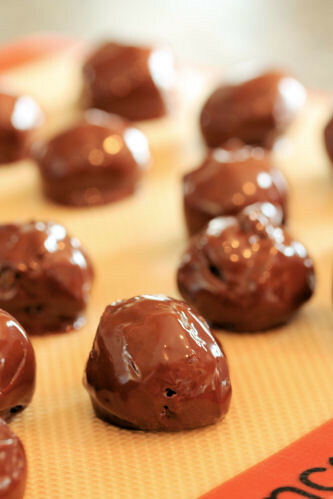 all your truffles sound heavenly! I'm busy growing (yet more) chillis this year. Last year I had a lot of jalepenos and some twilight numex (I think), this year more jalepenos and habaneros chocolate if they ever grow. I'll be back if I ever get the chillis! Oooh I would love this book! Those BBQ shrimp did it for me! That sounds like a brilliant book! Those truffles sounds to die for! Once I have my own house I will make sure to grow some chillis. As a spice head, I am liking the sound of this book and the recipes you have shared. 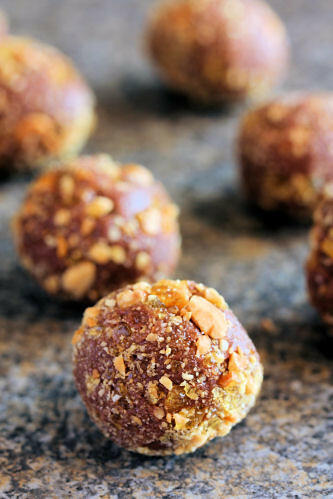 I wonder how that truffles with ginger & chilli praline taste. It must be delightful! I think I wanna grab that book and many others. Must be really fun to cook and bake some stuff.